Need help identifying this Culprit. My buddy bought this guitar while he was in Florida around 8 or so years ago. 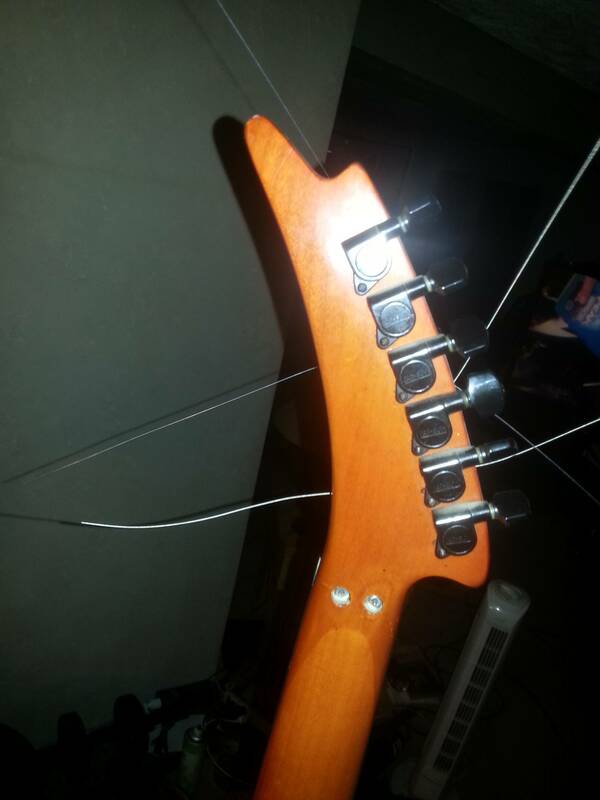 The guitar has no serial number or QA sticker. Any help would be appreciated. We believe it may be a prototype just curious if there might be any telling who may have had it or where it came from, shop wise. 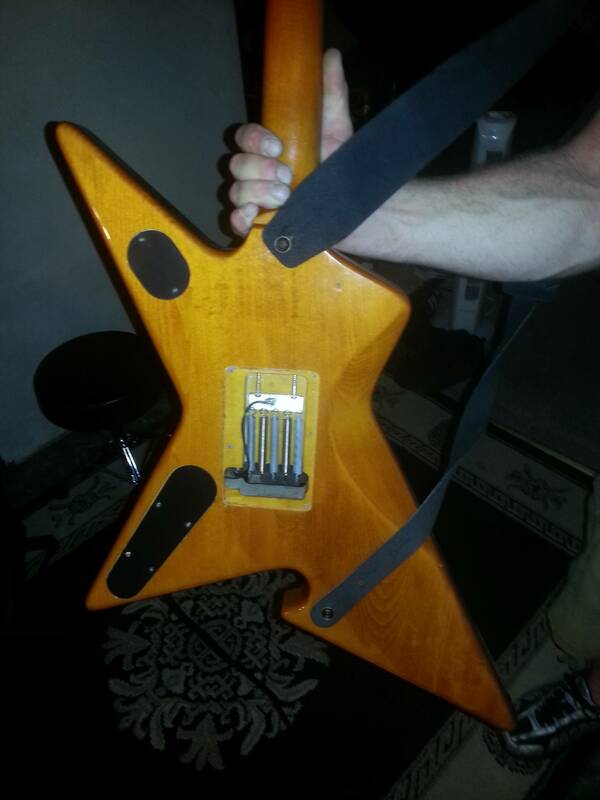 Here are some pictures, I think he changed the bridge pick-up, I think it may have been a Pink Seymour Duncan. Re: Need help identifying this Culprit. 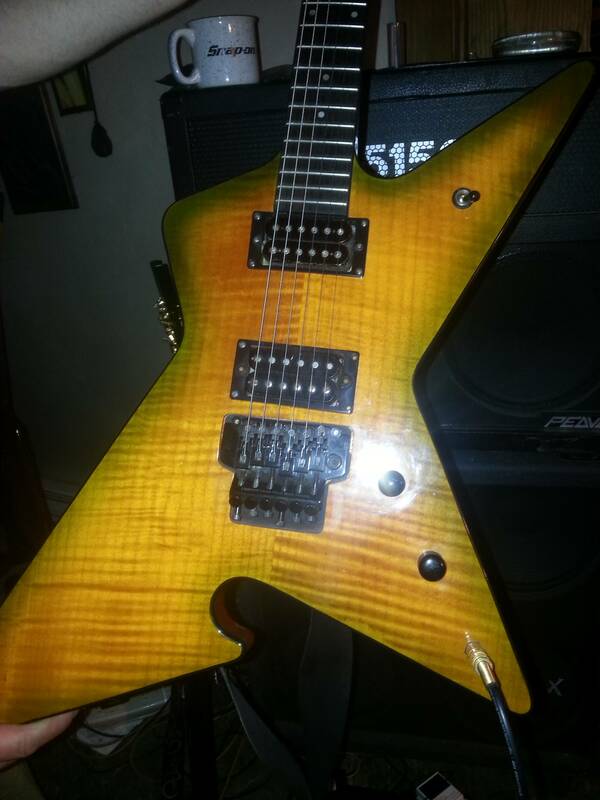 Yeah the pup that is in it is actually from his Dime Slime when he installed his EMG's in it. The pup that was in there when he bought it was like a DiMarzio or Duncan (like I said not sure the brand it was Pink though). I am trying to gather more information about it. *edit* He just texted me and said neither pup was the one that came on the guitar. I can tell you one thing I have the same guitar and I think it's called a Dime Slime Culprit. There is very few made. Washburn made mostly the red and black culprit. The Slime Culprit was a Dime color. Very rare color on that guitar. 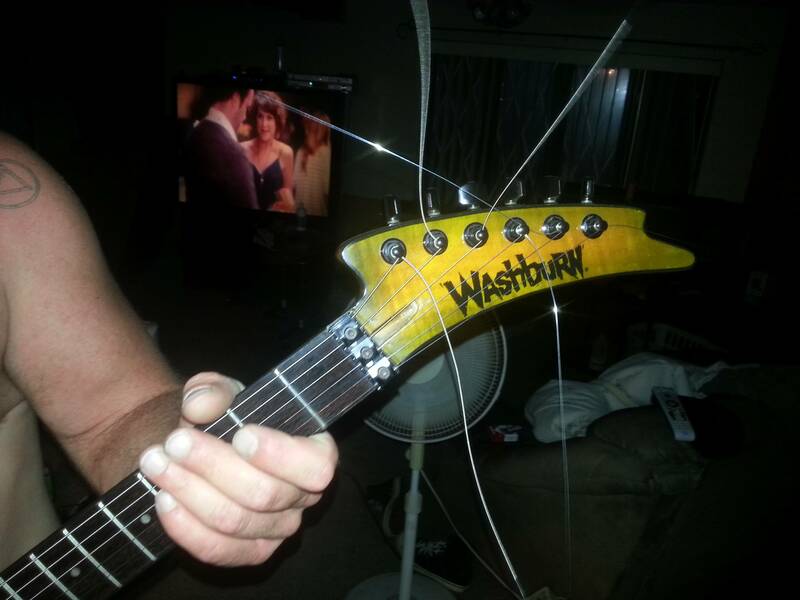 Sometimes from washburn the serial number has mixed in the year it was made. sometimes the first and last numbers of the serial number but not sure. After Dime died the culprit was discontinued. The Slime Dime culprit Dime played the guitar had a bill Laurence 500XL in the Bridge position and a DiMarzio paf in the neck position if you want your guitar to sound like Dimes.